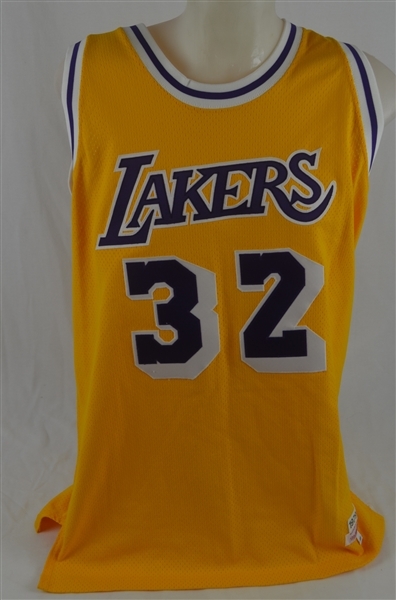 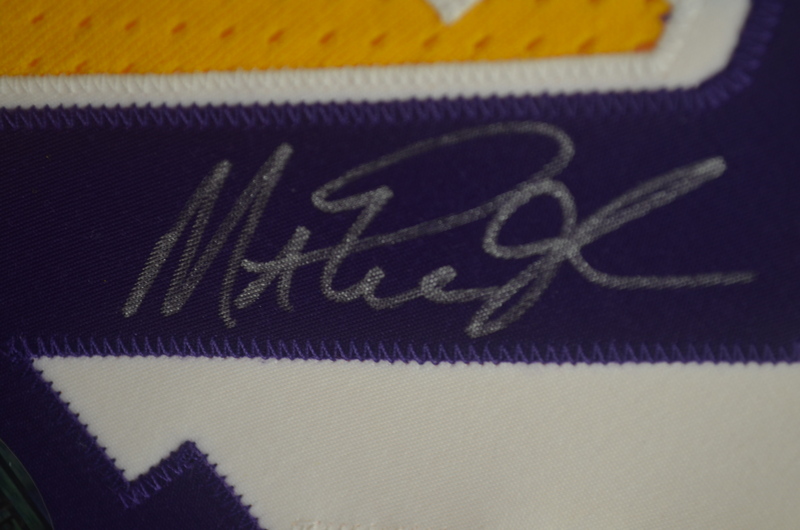 Beautiful Los Angeles Lakers home gold jersey signed by Magic Johnson on the back #2 in silver sharpie. 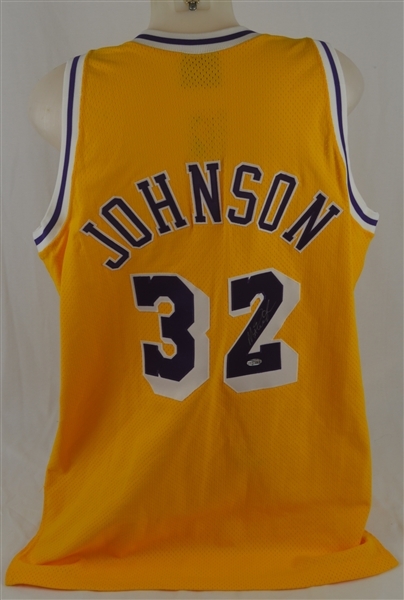 Magic teamed up with Abdul-Jabbar to turn the Lakers into a Dynasty during the 1980's-90's. 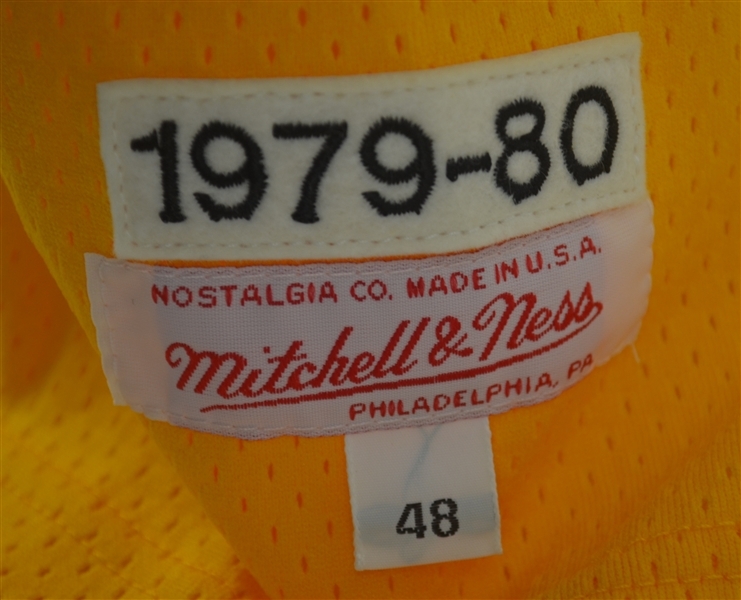 This jersey is made by Mitchell & Ness to the exact specs as Magic's 1979-80 rookie jersey.